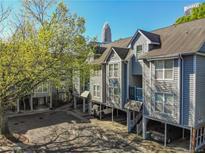 Find Uptown Charlotte, NC Condos for sale. View Photos, Maps and MLS Data Now! Street parking in front of building. Property As Is. MLS#3497752. Indigo Residential Management. Large windows allow for amazing natural light to fill the condo. MLS#3496182. Keller Williams South Park. Live across the street from Panthers stadium, with a short distance to bars/restaurants, the Knights ballpark, and to the heart of uptown. This won’t last long! MLS#3499257. USRealty.com, LLP. SKYE also features Fahrenheit Restaurant and Hyatt Hotel. ***SHOWINGS BEGIN 4/20*** MLS#3496546. The McDevitt Agency. Perfect location to walk to restaurants and entertainment! MLS#3490947. Carolina Real Estate Experts The Dan Jones Group I. Close to everything Uptown has to offer. MLS#3492824. Scarlett Real Estate, LLC. The Trademark building has great amenities including fitness center, community room, pool, outdoor grill, outdoor fire pit, dog walk and building security. MLS#3495555. Keller Williams South Park. Home has fresh paint and is at a great price point to live in Uptown. MLS#3497111. Progressive Urban Real Estate. Amenities include full service 24-hour concierge, fitness center, pool and sundeck with outdoor grills and fireplace, poolside club room with tv’s, bar and pool table. MLS#3495213. Genevieve Williams Real Estate LLC. Easy access to all entertainment, nightlife and dining Uptown has to offer! MLS#3495815. The McDevitt Agency. Refrigerator, washer & dryer included "as is." Owners are brokers. MLS#3495527. McGary & Associates. Comes with 2 deeded parking spaces and storage unit. MLS#3476419. Carolina Realty Advisors. Also, a quick Uber ride away from NODA, Southend and Wesley Heights. Perfect location for your lifestyle! MLS#3495081. Savvy + Co Real Estate. Note that the garage is 18 feet wide and can accommodate two smaller cars. MLS#3493853. HM Properties. Situated at the corner of Tryon and 3rd, this building is not only top notch quality with professional concierge, fitness center, pool, and cyber café, but convenient to everything you need! MLS#3495025. Nestlewood Realty, LLC. Walk to everything in the city. Some furnishings available for purchase. MLS#3494336. Allen Tate Center City. 230 S. Tryon has stellar amenities with a beautiful in-ground pool, fitness center, and a club room with a bar, TV’s and a pool table. This is Charlotte living!!!! ! MLS#3487113. Allen Tate Center City. *** Check Out Drone Video Of Neighborhood In Film Reel Icon Above *** MLS#3493276. Allen Tate Providence @485. Newly renovated bathrooms, fresh paint throughout, covered front porch, and back deck, private/fenced/covered back patio with bubbling pond. MLS#3492276. Carolina Realty Advisors. Don't miss this opportunity to live in one of the most sought after communities in 4th Ward/ Uptown Charlotte! ! MLS#3491663. Allen Tate Huntersville. Balcony off of living room perfect to have morning coffee or relax after work overlooking center city. MLS#3491353. Northstar Real Estate, LLC. Conveniently located to enjoy uptown living: shows at Spectrum Center, Epicenter, tons of restaurants, near to LINX (train), etc. MLS#3491976. Blueview Realty LLC. 24 hour notice required for appointment due to tenant occupancy. This is a Must See! ! MLS#3491161. Allen Tate Wesley Chapel.